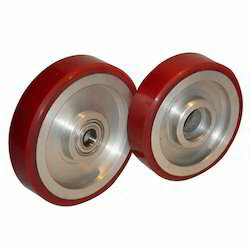 Prominent & Leading Manufacturer from Ahmedabad, we offer cast iron rollers and polyurethane on cast iron wheels. 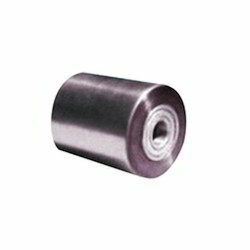 We are well known manufacturer of the wide range of Moldon Polyurethane Wheels (Series 713 - Polyurethane On Cast Iron Wheels). Made by using high grade raw materials with C.I Core and I-shape core shape, these are produced in our latest technology laden production unit. Each and every stage of production is supervised by our team of qualified technicians. With all international specifications in place, these wheels are of highest quality.